tutors in Arizona on T.G.I.F. Second week of choppy trading after the ZLT and the group hit all time highs two weeks ago. Comments on last week's slew of 3Q13 earnings reports and other items will be included as usual in The Week That Was section of the Monday post. We're slowly adding positions on an opportunistic basis created by the exit of some hot money profit taking. We'll be adding a new portfolio this week as well, same type of model as the ZLT C (low churn, fully invested, stock only) but since people often ask, "what are you doing with new money now?" this will give them a chance to see. Need to contact us about your account or site functionality? Use zmanalpha@gmail.com. This entry was posted on Sunday, November 3rd, 2013 at 8:33 am	and is filed under Uncategorized. You can follow any responses to this entry through the RSS 2.0 feed. You can leave a response, or trackback from your own site. Re 2 – thanks for the questions, will address in the Monday post. Market doing a pretty good job of working off overbought levels on the daily and weekly time frames with rotation into more defensive sectors. Volume pivot at 176. Exptect upside bias above that level and downside below with 173.56 CLVN as key level for current range. Expecting bulls to defend above that level. 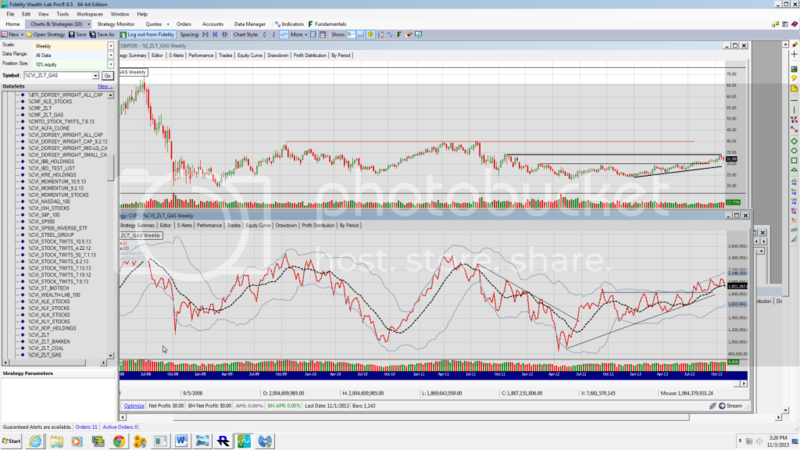 If I'm wrong and 173.56 fails to hold there is a low volume area that works to 171.22. Daily Oversold bounce off CLVN support and trendline at 68 after high volume selling. A break of 68 works to key suppport at 66. Weekly 66 is the previous breakout level and key support. Daily . Extended/stalled at major resistance after breakout from volume base. Weekly Extended at resistance at 20.64. Weekly Aggregate demand volume still in up trend. Price extended at resistance.